were perfect for this quilted stencil project. This old set of 3 was just what I was looking for, a little dirty but new with tags. 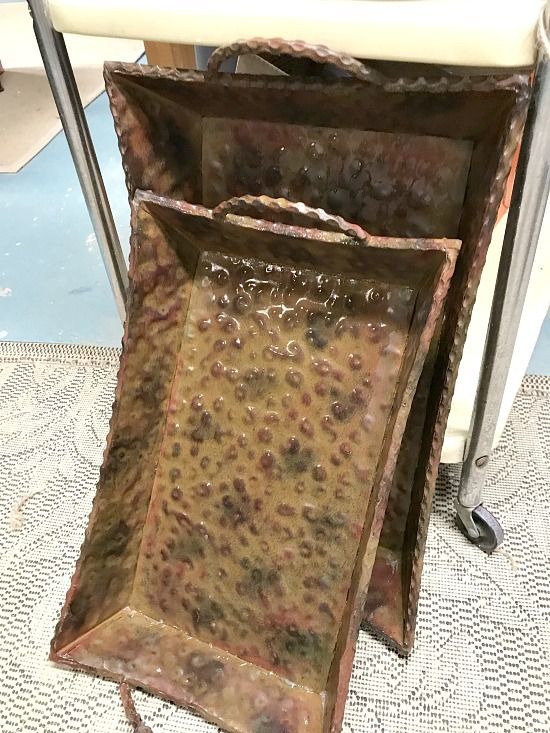 I washed the trays using Krud Kutter which is great for removing grease and dirt before painting. 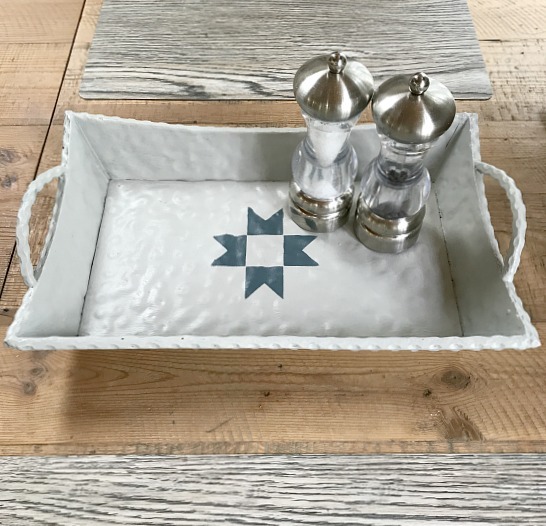 Fusion Mineral Paint in Bedford and Homestead Blue was my choice for painting these trays. 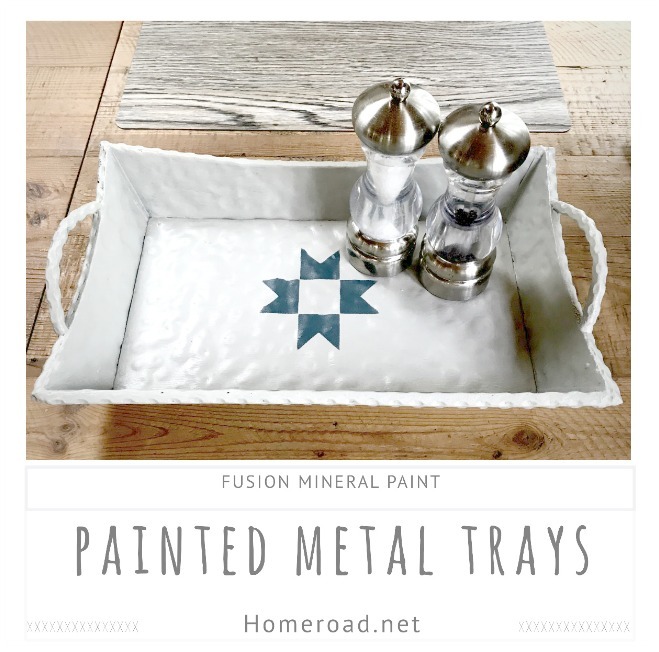 Fusion Mineral Paint sticks to metal beautifully. When the paint was dry I used a set of 3 quilt designs from Vintage Sign Farmhouse Stencils by Knick of Time. 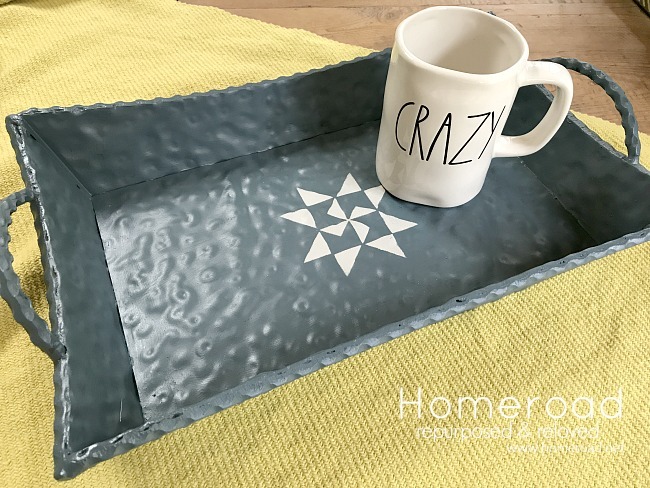 I stenciled a different design on each tray in contrasting colors. 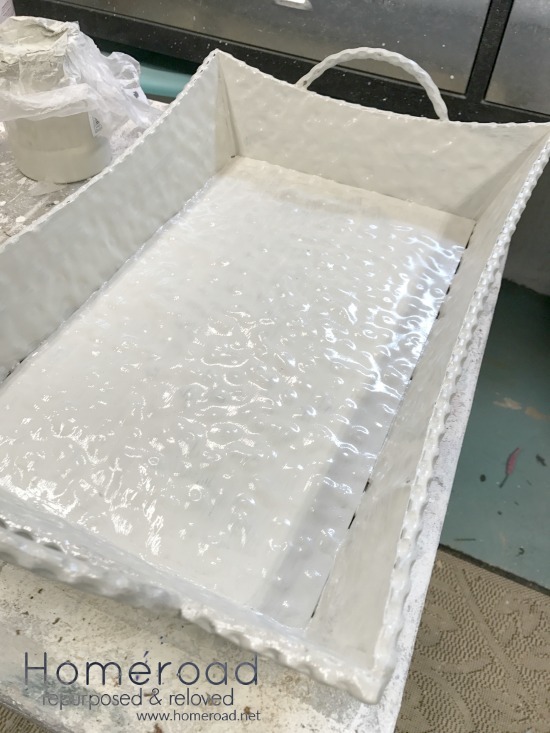 When the painting was complete I coated each tray with a spray sealer for extra durability. 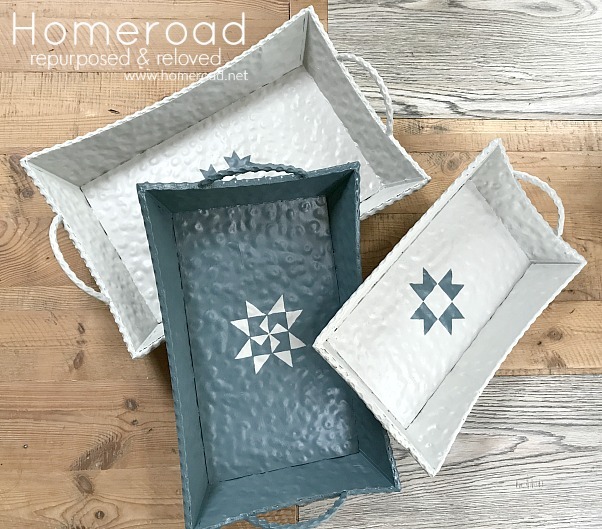 A set of 3 trays was just what I was looking for to try this adorable set of 3 quilt designs. They make a great set or can be used separately. Visit Knick of Time's Vintage Sign Stencils for more information. So, so cute, Susan!! Pinning! Thanks to your cute stencil Angie! !